Home » Development News » Thank You! We’re excited to see that your enjoying the game and leaving us awesome feedback. 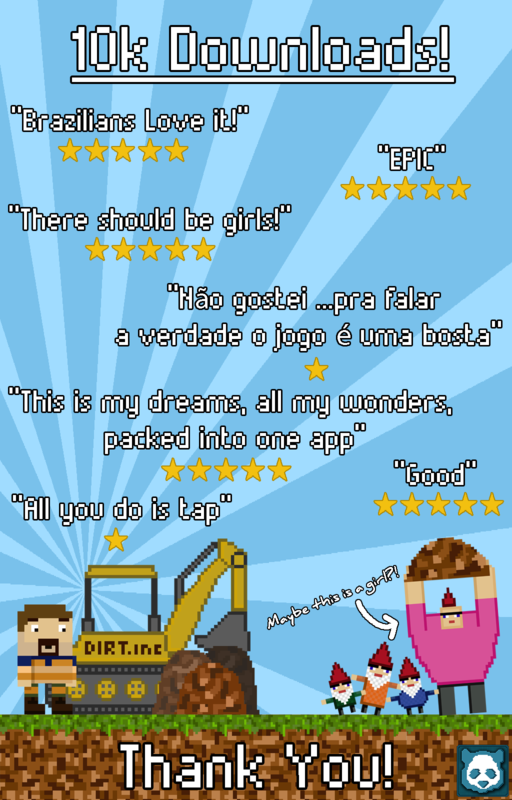 We made this little image to show off some of our favourite reviews so far! ← Dirt Inc v1.2 Available Now!